Welcome to the Sexton Family History page. We've collected information about our family and its many branches for years and like most of you have much work yet to do! Within our database are some 151,000 or more individuals thanks to fellow researchers like you and the ease with which the Internet allows us to exchange information. As with most labors like this, it remains a work in progress. Please accept it as such. Have fun browsing through our family trees! Our Sexton family arises in Spartanburg County South Carolina in the years just before the Revolution. Thomas Sexton first settled along the Tyger River on a branch of Ferguson's Creek in 1768, on land which was later conveyed to him by a Royal Grant from King George, III of England. Our line leaves for Gwinnett County, Georgia in the 1820's and later moves to Calhoun County, Alabama. They seemed to have moved best under cover of darkness, apparently one step ahead of the authorities! Our Peace and Winston lines have their origins in early Colonial Virginia. About 1750 they spill over into North Carolina, settling in the old Granville County. Our branch leaves for Calhoun County, Alabama about 1848 where many descendants live today. Among the friends and families that left North Carolina for Calhoun County are the Peace, Winston, Penny, Coley and Estes families. Our Atkisson family hails from Virginia in the Colonial times. They were mountain folks with an interest in mining ore from the iron rich hills of Patrick and Henry County. Our branch moved to Talladega County, Alabama and continued to mine iron ore but developed an interest in making (and drinking) moonshine! Our Gunter family originates in North Carolina. Joshua Gunter migrates to the old Lexington and Orangeburg Districts of South Carolina shortly after the War for Independence. The Gunters of the Edisto River harvested timber and farmed. Our line left for Talladega and Clay Counties of Alabama in the 1850's and harvested timber from the Southern Appalachian Mountain region of east central Alabama. Of the line that remained in South Carolina, some Gunters later became politicians, which reminded the Alabama branch of its reasons for first going west. ** NEW ** See the new Gunter book, Banks of the Edisto by Jim Sexton. Our Bunn line begins in North Carolina before 1800 (probably descended from A. Warren Bunn of Wake County, NC) and moves to Fayette County, Georgia before 1830. By 1850, they are in Talladega and Clay Counties of Alabama. It was here that two great families met, the Bunns and the Atkissons. They married, scratched a modest living from the red clay hills and produced some real masters of 'shine! Our DeBord branch is of North Carolina vintage (thus far). They appear in the early records of Surry and Rutherford Counties about the time of the Revolution but we believe they are descendants of James DeBord who was indentured in Virginia in the 1600's. 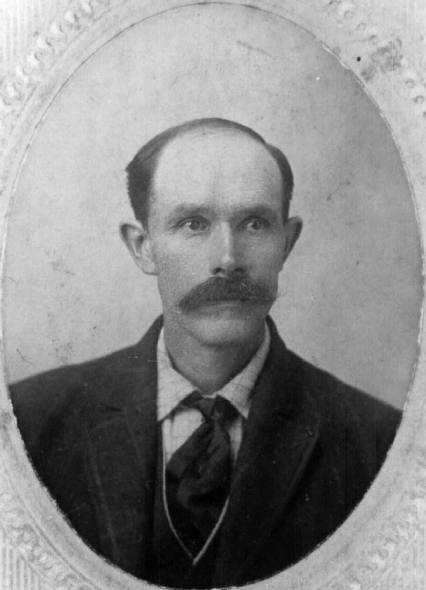 Our line is descended from John Debord who married Martha Patsy Edwards. We're still debating whether his father was George or John. Our DeBord line leaves Buncombe Co., NC in the 1840's and 1850's, arriving in Gilmer Co., GA - not too late to benefit from the northern GA goldrush! Our Masters family hails from Rockbridge County, Virginia well before the Revolution. Our Revolutionary ancestor, Thomas Masters, 'jines' up with Colonel Abraham Buford's famous 11th Regiment of Virginia Militia. They march straight to South Carolina to relieve the siege of Charleston and are unmercifully massacred by the English butcher and cavalryman, Banastre “Bloody Ban” Tarleton. Old Thomas Masters was one of only fifty or so who survived Buford's Massacre. He settles in the Greenville District of South Carolina just after his enlistment expires. Our branch moves on to Gilmer Co., GA by the mid-1800's. Our Starnes line is descended from Palatine Germans. Frederick Staring arrives in the New York wilderness in the early 1700's. He and his family struggle through exploitation by their English agents on a quest for making pine tar from conifers that don't produce the necessary resin. Moving southward to escape their masters, first to Pennsylvania, they finally settle in southwest Virginia in the 1740's. The Indian uprising on the Virginia frontier pushed our branch into the German settlements in Cabarrus and Mecklenburg Counties of North Carolina. Later our line slipped into Lancaster County, South Carolina. Our Wilson and Collins families settle in the Lancaster County, South Carolina community of Indian Land in the early 19th century. They've been pretty well put since then. It's a close-knit community where nearly everyone is related to each other. My wife hails from Indian Land. Our kids say that if not for my family moving to the area, she would have remained unmarried for the lack of prospective spouses who weren't her cousins. ** NEW ** See the new Wilson book, Carolina Descendants of James Wilson of Ireland by Jim Sexton. Our Elder family is first found in Spartanburg County, South Carolina with Samuel Elder who died in 1797. Among other Elders in Spartanburg County, we're unsure of Samuel's relationship to them, but believe his line may descend from Peter Elder and Amandine Hammond of North Farnham Parish, Virginia. Our Elders left Spartanburg County in the early 1840's and by the 1850's resided in Gilmer County, Georgia. By 1910, after several seasons of crop failure they're off again, this time to Marshall County, Alabama. Our Brock family is first found in South Carolina and later in Gilmer County, GA. The brothers Britton and George Washington Brock move to Blount County, Alabama in the late 1850's with their families and begin speculating in real estate (records show they didn't do very well!). The War comes along and they join up with the Company G of the 2nd Kentucky Cavalry under General John Hunt Morgan. On Morgan's famous raid into Ohio, both brothers are captured and tragically, meet an early death from disease in Union prisons (Andersonville wasn't, by any measure, the only camp of death!). The Moon, Staples and McKay branch of our family has been an elusive bunch for us to track until recently. They appear in Elbert County, Georgia shortly after the Revolution. Prior to the War of Northern Aggression they are found in Clay, Chambers, and Randolph Counties of east, central Alabama. By the early 1900's they've moved to Sand Mountain, in Marshall County, Alabama. The Gordon and Griffin families are more branches with deep roots in the Indian Land Community of Lancaster County, South Carolina. Old Joshua Gordon negotiates a 99 year lease with the Catawba Indians and settles along Six Mile Creek. Late in life he publishes a manuscript on Magic and Spell Breaking. Joshua, the man of letters, was of Irish descent, and if not for 'poitin' might have written War and Peace. Our Holeman and Burgess lines hail from before the Revolution in the old Newberry, Lexington and Edgefield Districts of South Carolina. Shortly before 1800, the Holeman and Burgess clans strike out for the Greenville District of South Carolina on lands recently stolen, albeit by treaty, from the Lower Cherokee Indians. By the 1840's our Burgess line has moved to Gilmer County, Georgia to settle on land more recently stolen from the Cherokee Indians! This page is owned and maintained by Southern Heritage Research of Lexington, South Carolina. Any use of information or material contained within the Sexton Family History page is expressly understood to be for non-commercial purposes. We'd appreciate hearing from you. If you have comments, suggestions or questions please drop a line to Jim Sexton.